Now and then we all want something sweet and cupcakes are the perfect size to satisfy that craving for cake. Last night I didn't feel like weighing out all the ingredients so I just thought I'll do something semi-homemade. After all nobody will notice if you don't tell and you save a ton of time, by using a box and just switching out some of recommended ingredients and adding to it. 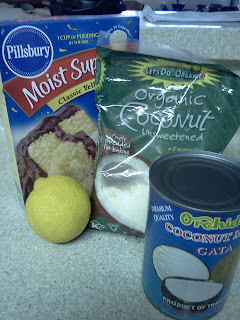 Prepare the cupcake batter just as described on the package, but instead of the water, use the coconut milk and then add in the coconut flakes, lemon zest. Divide the batter evenly in 2 twelve count cupcake pans and bake as instructed on the package or until a wooden skewer comes out clean. While the cupcakes are baking prepare a lemon glaze with the powdered sugar and the lemon juice. The consistency should be like a thick syrup. Once the cupcakes are baked, remove them from the oven, prick them allover with a toothpick or a skewer and immediately brush with the lemon glaze, so the tops are coated and the glaze will be absorbed into the cupcakes. 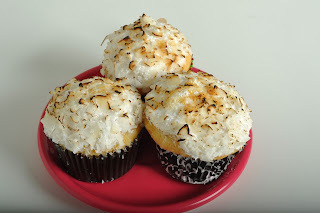 Let the cupcakes cool, top with icing and coconut flakes. I found it easiest to dip the iced cupcakes into a small bowl with the coconut flakes, that way you don't get the flakes all over your kitchen. Now arrange on a nice plate, make yourself some coffee and dig in! Bon Apetit! If there's one thing that really disappoints, it's a dry cupcake. This is NOT that! 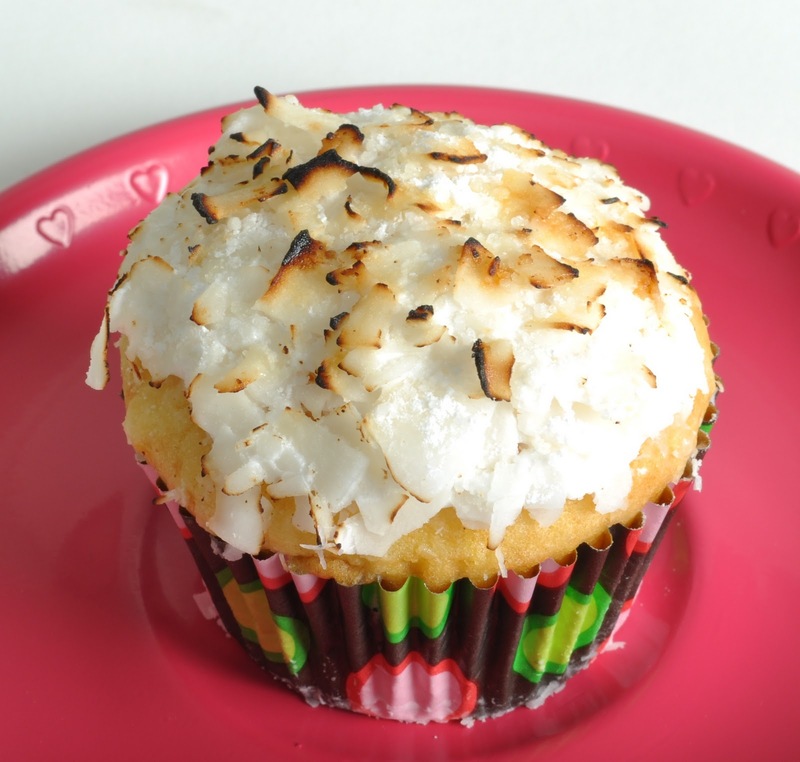 So moist and fluffy, and the lemon and coconut flavors blend beautifully together. And the pinch of sugar sprinkled on the top gives a nice texture contrast, without going too sweet. The toasting of the coconut topping really brings out another layer of flavor that makes this a real treat. SOOOOO good! I can usually taste a box mix out of everything, but not with this one. Deliciously moist little cupcake bursting with coconut and lemon flavors! Very yummy! I made it with the yellow cake box mix from Trader Joe's since it doesn't have all the horrible chemicals in it, and I used melted butter instead of the oil (and adjusted the quantities of fat to the TJ cake) - it turned out heavenly!